Ami Nagle, EOF Co-Director since 2012. Ami Nagle is President of Nagle & Associates, a national consulting firm focusing on three areas: consultation and support to innovative charitable foundations, public policy analysis and field research for non-profits and government agencies, and evaluation of community programs. She is also Co-Director of EOF, and Coordinator for the EITC Funders Network and Children Youth and Family Funders Roundtable. 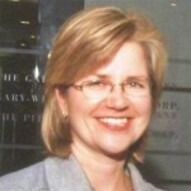 Throughout her career, Ms. Nagle has conducted strategic planning and initiative development authored numerous research and policy reports, implemented surveys, conducted focus groups, designed public information campaigns, and gathered data for a variety of private- and public-sector sponsored studies of human service, economic security, civic engagement, and education issues. Before founding Nagle & Associates, Ms. Nagle headed several major research and public education projects for Voices for Illinois Children and the Illinois Facilities Fund. She holds a master’s degree from Loyola University of Chicago (1994), where she was trained in research relating to family and child welfare, urban poverty, and nonprofit administration. She completed her undergraduate studies at Emory University (1990).